There’s nothing like having a new sofa delivered and lounging on it for the first time. It’s brand new and you’re so happy with the style that you spent ages choosing in the shop. But although it looks amazing in your living room, it’s lacking a bit of personality. Or what about that sofa you’ve had for a while that’s lost it’s shine. 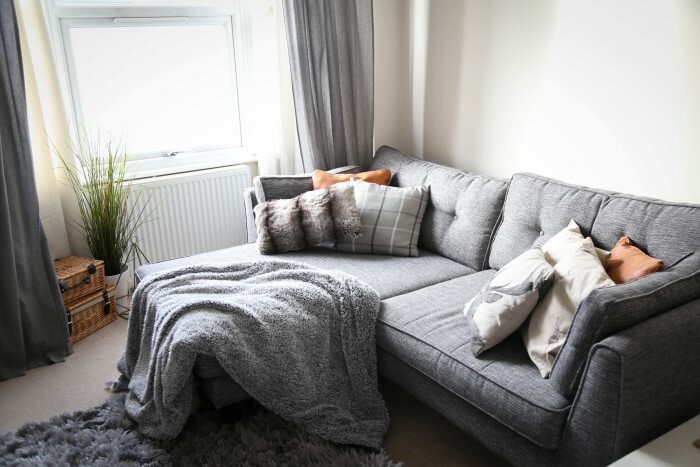 The one that’s part of your home and oh so comfy but in need of a style shake up. 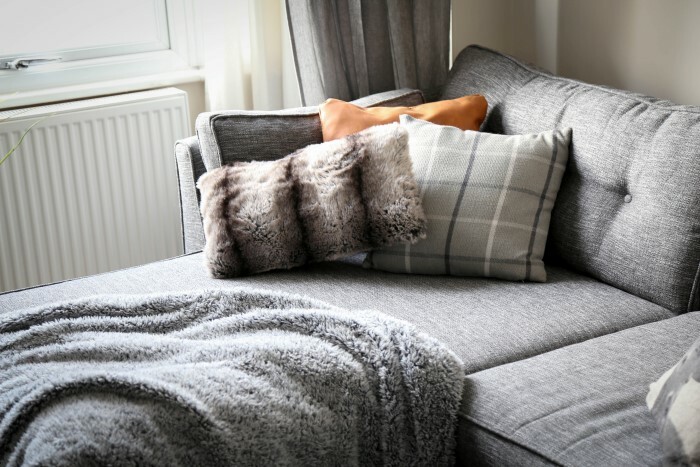 Well I’m here to share with you my top tips on how to style up your sofa, whether it’s brand new or comfy and old. With these simple tips you can turn it into a real statement piece in your room. You don’t need to spend a fortune to re-vamp your cushions. One of my biggest tips to shake up style AND save space is to invest in cushion covers not new cushions. Buying cushion covers usually works out at about half the price and you save space not having to stash your old ones somewhere. It means you can unzip your usual covers and give them a wash before folding them up neatly in a drawer! 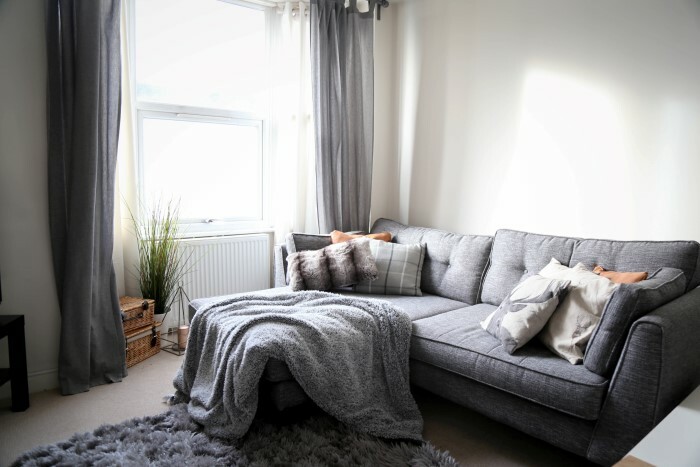 Most home stored do some lovely covers in a wide range of colours, patterns and sizes – or measure up and have a look online! 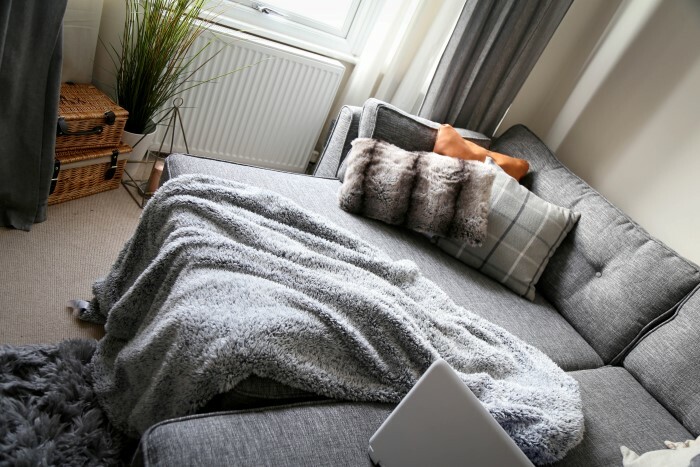 I love having a blanket on my sofa to snuggle up in. 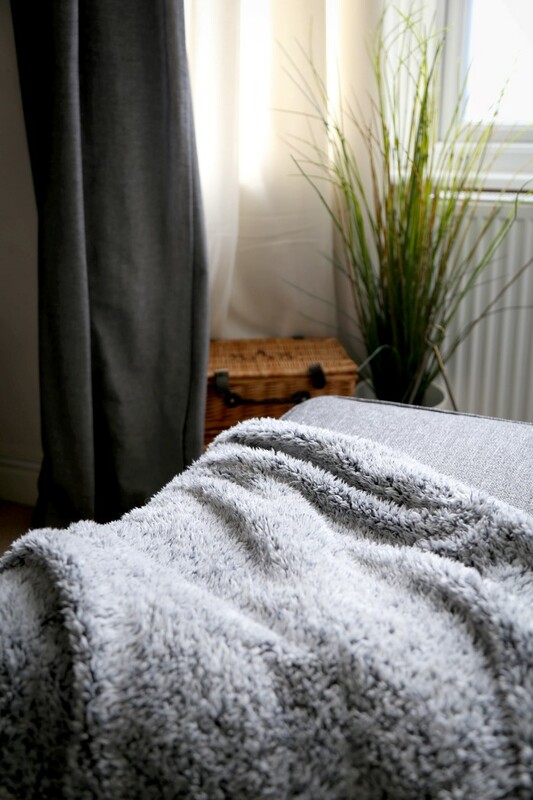 Perfect for those cosy nights in …and they help save on the heating bill! 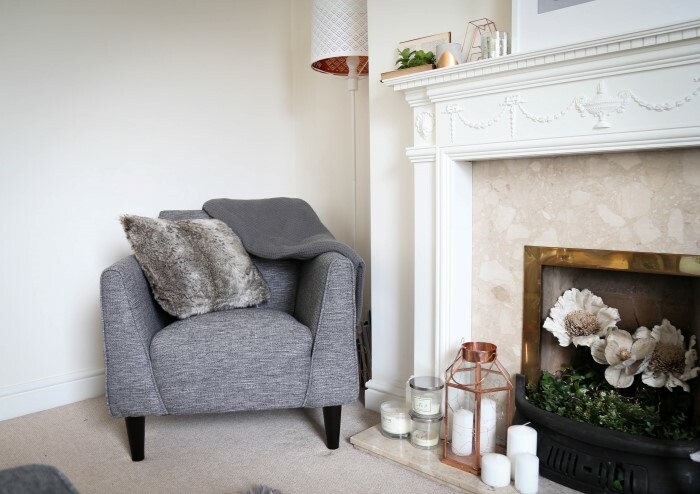 But they’re also a really easy way to style up a sofa and add a bit of Hygge! They’re so versatile – you can throw it over an arm, fold it over the back or use it to cover the whole sofa if you fancy a retro vibe. Different textures and colours can help create so many different looks – I like something faux furry for the winter and a nice tasselled mustard in the warmer months! Got a 3 or 4 seater sofa? Why not add a footstool to one of the ends to create a bit more comfort or space to your sofa. Either in the same colour and texture or even a contrasting shade, adding pieces is a great way to mix things up and revive an old sofa. I used to be all about symmetry when I would style my home – meticulously matching mugs and making sure all my cushions and candles matched. But the easiest way to add style is to mix up your textures and patterns. Find a running them colour and buy around that; for example choosing grey as your undertone and choosing natural tones to accessorise. Pick complimenting patterns like my forest animal prints and the cosy check style and don’t be afraid to mix textures for a bit of variety. Think faux fur, leather, textured cotton, brushed velvet. Have fun with it and don’t worry too much about symmetry. 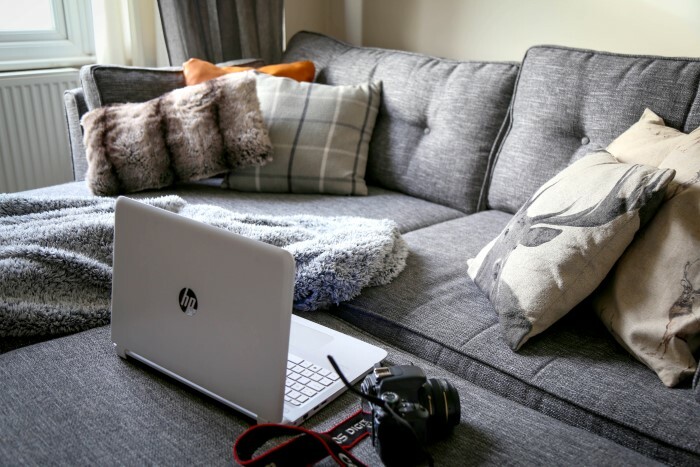 What are your top tips on styling up a sofa? 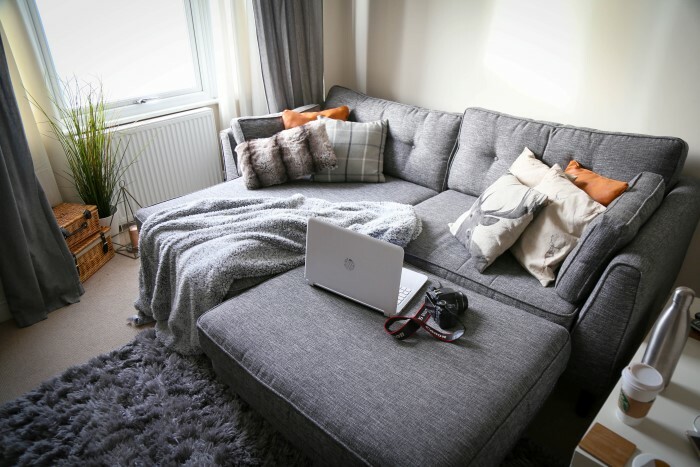 *Post in collaboration with Sofology – My new sofa set was gifted from the Sofology Rugby Store in exchange for a style feature on xameliax.com.